A festival by the name Muslimfest has been held in Canada since 2004. The cinema section of the festival is sending a message to all directors who consider themselves liable to convey the Islamic values to the “global” context by making a movie. The deadline for applications is July 28th. Last year no one from Turkey participated in the festival, whereas this year, the only participant is the amateur, 23 year old Osman Gazali with his short movie, “I am Just.” Thus, as far as the participation of professional directors is concerned, we are hopeless. As a matter of fact, the notion in Turkey that religion can characterize an art such as cinema has reached a narrow pass for numerous reasons. For one, many of our directors see themselves neither as a part of Islam nor as a part of the Islamic World. Religion is being conveyed via a secularist interface that in turn entraps it. For many Turkish directors who have failed to formulate a meaningful relationship with religion, this situation has resulted in more tension and workload. On the other hand, those directors who have indeed attempted to convey Islamic messages through the cinema have gone to the opposite extreme in making movies inspiring the religious sentiments of the masses. However, they have emptied the very core of the cinema and their impact has lasted for only a short time to be later remembered vaguely as the time of “white cinema”. Now no one stands behind this cinema genre. The new film-makers are very successful in using names with “Islamic” connotations, however neither ‘Takva (Taqwa)’, nor ‘Bes Vakit (Five Times)’ or ‘Dabbe’ are movies “that remain respectful for Islam” as envisioned by the Muslimfest… As a matter of fact, we have been unable to produce a professional film that would reflect both the ‘Islamic’ world and the Islamic culture, its vision, critique and perspective not solely via its ‘title’, but its ‘content’ and be considered valuable according to the global cinema norms. Hence, it is natural that we do not have a say in Muslimfest or have a movie to air. Will there ever come a generation that will manage to blend the enthusiasm of cinema with religious sensitivities and will not batter themselves within the filters of political or artistic superstitions in the process? Is Osman Gazali the forerunner of such a generation? I do not know. What I know is that we need to work extremely hard until we can watch Muslim stories about the lives of companions, lives of the prophets and historical figures in big budgeted productions. The first question that naturally emerges is whether this is a requirement or not. When I take into account the fact that I have always distanced myself from the big-budgeted movies and from the ‘main stream’ clichés and that I am a person who is never going to call James Cameron’s ‘Titanic’ ‘a great movie’ even after a hundred years, this question becomes significant first of all in terms of my determination in underlining the need that rises. ‘Is it really a requirement?’ I mean, can our axis not be that wonderful film ‘Children of Heaven’ by Majid Majidi or other such movies? Why should Turkey and the Islamic World of which it is a part be necessarily after ‘big’ businesses? - The natural target audience of the television is not the same with the target audience of the Iranian films that win awards every year in a European festival. - It can not be stated that every Iranian film is ‘respectful of the Islamic values.’ It is indeed possible to claim the opposite for more than half of these films. The search in question is whether there is an answer or not for the religious audience who have become tired of watching the movie ‘Message’ every year during the month of Ramadan. The answer should be wary of the fact that the Tv channels of religious origin do not find the broadcasting of pad and waxing advertisements as being contradictory to the ‘alternative’ broadcasting mentality; yet they “turn out to be” conservative and rigid when it comes to allocating budget for films that are respectful of the religious values. What is evaded by saying “ there is a prohibition of facial depiction and thus a movie about the Holy Prophet, and even Ali and Umar can not be made” might be the fact that the former idealists who have recently become CEO’s became alienated to the needs of the masses. My contention is that productions such as ‘Besinci Boyut (5th Dimension)’ and ‘Sir Kapisi (Door of Secret)’ are issues that are at least as controversial as the prohibition of facial depiction. This and such cinematic paradoxes are not only true for Turkey but also for many other Islamic countries. There is the weighty reality of the question “How many times more are we going to watch the movie “The Message”? How many times more the channels whose audience is largely composed of religious people are going to stall their fans with the movies, "Omar Mukhtar,“ "Rabia” starring Hulya Kocyigit or Fatma Girik, and movie about Umar starring Huseyin Peyda? 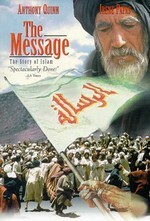 The movie “The Message” is still our favorite. In the broadcasting hours that coincide with the sahur (starting hour of fasting) times, they show lousy Egyptian and Arabic movies. In one of the previous Ramadan months, I came across a series that lasted throughout the Ramadan month. It was a movie about a lecherous caliph, nondescript women, and mean scholars. This movie chilled me with a feeling, “Oh my goodness, what is this?” I could not gather myself together for a long time after watching it. Probably, the channel could not find any ‘watchable’ programs in a series format that could be shown in sahur times. I remember that the animation movie about the Holy Muhammad, release date of which was in the Ramadan month of 2004 caused an enthusiasm with similar reasons. However, the same enthusiasm was not observed in the box office. AFM cinemas were surprised by the fact that religious audience did not show interest in the productions that were suitable to their beliefs and principles. This means we cannot underestimate the ‘audience’ factor when considering the Islamic world and themes of cinema together. 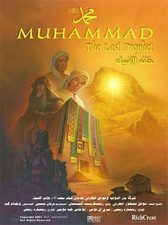 All in all, I remember that the animation movie called “Muhammad: The Last Prophet” could not satisfy the small number of moviegoers in that year waiting for an animation movie that was actually meant for the kids. The reason was that it turned out to be a copy of the movie “The Message”. Ultimately, there was a weird situation in hand. Firstly, ‘this’ side of the world, the geography with which we share a culture and relatively similar values; a basin that we may generally call Islamic world can not produce a powerful ‘cinema’ that can satisfy an audience of all levels. Secondly, the productions remained local because they lacked an original cinematic language. They were consumed silently within the context they were produced for they could not be included in the larger circulation. Thirdly, although the people of this geography and basin were not totally disconnected from the ‘cinema’, they had a problematic and controversial relationship with it. In these countries that are included in the scope of the third world, movies starring Jean Claude Van Damme and Sylvester Stallone or movies like Robin Hood and Braveheart could be watched enthusiastically, but unfortunately due to the fact that cinema was still seen as a ‘profane’ field in the general sense, there were not enough number of educated writers, directors and actors who could turn the wheel of cinema; there were not important steps taken in terms of the development of a cinema industry. Audiences were voluntarily exposed to the abundance of the American movies. They sometimes became outrageous; they got angry on the justification of the militarist and imperialist idea of the movie Black Hawk Down and the way this could be accomplished with convincing formulas; the people who opposed Schindler’s List saying that it propagandized Jews had already watched it. There was anger, an admiration in disguise, and an inferiority complex. There were also longings expressed from time to time suggesting that if the movie Braveheart had been produced by the Muslims, the concept of martyrdom would have been placed in the most perfect context. As such, there was a desire to see grand historical productions with costumes on the silver screen about Salahaddin Al-Ayyubi, Tariq ibn Ziyad, and even Ali. However, there can be unassisted, premature ideas generating from societies exposed to economic, political and cultural inferiorities. The love-hatred relationship formed with the cinema, in these places, could not strip itself free of the ethical and intellectual obstacles. This scene verifies the statement by Yusuf Kaplan that “the ones that have problems with cinema in the world are only the Muslim societies” namely countries like Egypt, Turkey, Morocco and Tunisia. Iran deserves to be in a different category due to its special relationship with the cinema. However, as Moustapha Akkad, the director of the movie ‘The Message’ complains, the people that would allocate resources for the cinema in Muslim societies reduce the ‘quality’ or ‘inferiority’ of a movie to several quite rude, ceremonial and symbolic figures. Today, in most of these countries, there is almost no movie that is encompassing in terms of both its tradition and essence, or the available ones are being labeled as “un-Islamic” for the lack of a “Salamun Alayqum” word therein it. Instead, it is those movies in favor of violence that find support. The result is of course an absolute fiasco… A disappointment that cannot find a universal audience; that is not even appropriated by the ‘fraction’ who have the same mentality; that does not succeed at the box office and that drives its sponsor to think that cinema is not a good field for an entrepreneur. The reason is that the criteria of cinema had already been determined. When the perception of the producer and movie financers transforms into an authority, it becomes impossible for the director to even apply the existent, discovered criteria, let alone creating an original cinematic language. Although there is a fact that the dominant cinema industry (big movie companies in Hollywood) does not approve the mentalities other than its own discourse, the question “What would happen if Walt Disney discovered Maulana?” comes to our minds as we consider that he embraced different colors, ethnical, religious, and national features and transformed them into a state that could be accepted by everyone. The answer to this qesution is as follows; “Hollywood would steal Maulana’s stories and exploit them.” Perhaps the real questions that must be asked are “When will we discover Maulana?” Can the Islamic world understand that the best thing to do for the Palestinian martyr kid Muhammad Rami is to make a movie on his story? Is not Hajar, who ran between Safa and Marwa, a cinematographic character enough? Will this basin not produce movies that challenge the dominant paradigm with coherent theses and moral integrity; that form creative relations with the traditions, science and religion; that can find audience in the global world with their language and ‘messages’? Will we wait for Spielberg to adapt what Peter Gabriel achieved in the music sector by taking our ‘raw’ material? Script writer and critic Nedim Hazar says ‘yes’ without reservation; “When the Western cinema discovers the Eastern culture and its endless raw materials that will feed the cinema, the cinema will perhaps gain its true meaning and the art will find its true place.” Although this is a sad evaluation, its motive is strong. The religious producers who are inclined to see art as a conquest and a weapon, and the masses who guide them in reference to their wishes deepened the crack between Islam and cinema to a certain extent. The ambiguity between hope and hopelessness deepens further due to the fact Yusuf Kaplan explains; the problem is that the opportunities for the Muslim nations to ‘contact’ their own ‘materials’ have become almost impossible. Countries like Egypt, Iran, Turkey and Morocco that can be regarded as the centers of the East were introduced to the cinema shortly after 1895 almost when it was invented. However, they did not witness the movements that we associate with the formation of an industry until the 1950s and it wasn’t until 1960s that the quest for a cinematic language started. The cinema studies conducted in the Islamic world followed two paths. The first one is about the movies that mentions current and historical events and that are closer to popular art mentality. We can refer to Syrian director Moustapha Akkad’s “The Message” and “Omar Mukhtar: Lion of the Desert”, national cinema examples of Yucel Cakmaklı, Iranian director Mohsen Makhmalbaf’s movies “Baykot”, and “Safar e Ghandehar”, Mesut Ucakan’s “Oc” and “Yalniz Degilsiniz”, Egyptian director Youssef Chahine’s “Saladdin”, Turkmen Khodzha Kuli Narliyev's “Derevo Dzhamal” as examples. The second path aimed to understand life more deeply in a metaphysical perception dimension, and to include sufist features in it. We can include the following directors into this group: Saeed Ebrahimifar (“Nar-o-nay” – Iran), Nacer Khemir (“Le Collier Perdu de la Colombe” – Tunisia), Mesut Ucakan (“Kelebekler Sonsuza Ucar”), and Metin Erksan (“Sevmek Zamanı”). Although they acquired local publicity to a certain extent, there have not been good results in capturing the universal cinematic language except for the Iranian examples. They failed to invent an original cinematic language within the Islamic world. Atilla Dorsay had said; “Unfortunately cinema within the Islamic countries has not become an indispensable cultural production and a mass media that continually and regularly forms an organic connection.” “Which Eastern Islamic country has such a tradition? Is it Saudi Arabia, Iraq, Syria or Malaysia? Iran and Turkey constitute two very exceptional examples: An example in which we can in its real meaning mention a national cinema… However, the production in these two countries has always been marginalized, yet it has not been rationalized, industrialized and a collective consciousness with the aim of bringing Islamic heroes and Islamic history to the screen from time to time have not been created.” (09.11.2005/ Zaman- Turkuaz edition) Dorsay’s evaluation of the Iranian cinema is true to a certain extent. This is because, even though the Iranian cinema proved itself to the world, it is important to understand by what means they proved themselves. It is possible to say that Iran has led to “small is beautiful” sympathy in Europe where people became sick of all the giant budgeted productions and of the egotistical directors. The Iranian cinema proved that an interesting idea, small stories and a vision in which the human is in its center contain more ‘art’ than a million dollar production and this has fascinated and continues to fascinate the festival committees who regard the cinema not as something to share with the large masses but as a purely artistic value. However, Yusuf Kaplan insists that another explanation should be provided for the Iranian cinema: “Iranian cinema is a cinema that has been successful in reflecting, adapting and implementing the Islamic world, cosmic world, nature and the thought of God, and Islam’s perception, interpretation and representation methods of the reality of Islam.” The fact suggested by Kaplan is that Iran managed to overcome the period of interruption within the civilization that caused the other Islamic countries to enter a depression. Iran solved this issue with the compass metaphor: Iran held one of its feet solidly on the Islamic culture, and proved with its other foot that the Muslims can reinvent the cinematic language, a western art branch by means of forming a creative relation with the codes, instruments and institutions of the prevalent culture. The revolution is being criticized, yet the culture is not neglected. This is because the ‘environment’ makes the people comprehend and realize that the original things can provide originality to the world only if the culture of Islam is utilized. (09.11.2005/ Zaman-Turkuaz edition) What underlies the success of Iran is that it defeated the illness of ‘mutual lack of contact’ that clamps down other Muslim countries. What is this mutual lack of contact? It is the most important reason why a cinematic language and a theory have not developed in such countries as Egypt, Turkey and Morocco. This civilizational depression which was experienced by the Muslim societies who became exposed to political, economic and cultural traumas against the challenge of modernity has created an ontological fraction that made their relations problematic with both Islam and the prevalent Western culture. Note the mentioned countries! There is a unique connection between these countries in terms of creating a stand pat, defensive and shallow relation platform. The fact that the Muslim societies failed to make contact with their culture, art and thoughts and could not creatively utilize their own cultures, led to a failure to reinvent a cinematic language with the aesthetics of Islam, Islam’s perception, realization and interpretation methods of Islamic reality. According to Kaplan, unless such an effort is shown, a strong cinematic language and tradition will not be constructed within the Islamic world and the produced materials will not be more than the second hand copies of that of Europe and U.S. Apparently, what is first required is a view that manages to perceive how Islam sees the world, and competent cinema makers that are able to incorporate into this view the artistic understanding and the technical facilities of the era. Next requirement is sponsors who respect the cinema makers’ view of the art and an ‘audience’ that does not become fully engrossed in main stream’s cheap provocations lying within the axis of exposure and terror. Believing, persevering and being dedicated. The first thing to do is to imagine that a story containing the signs of companion life and prophet morality is reflected in the silver screen and to answer properly whether realizing this vision is an activity that is worth paying the costs for… A generation who can say ‘Yes, it is worth’ is growing and we are waiting. Please type '367' into this field.